Everyone here in Alberta knows that trucks are a working man’s best friend. With large holding capacity and power in the engine, choosing the right truck is important. 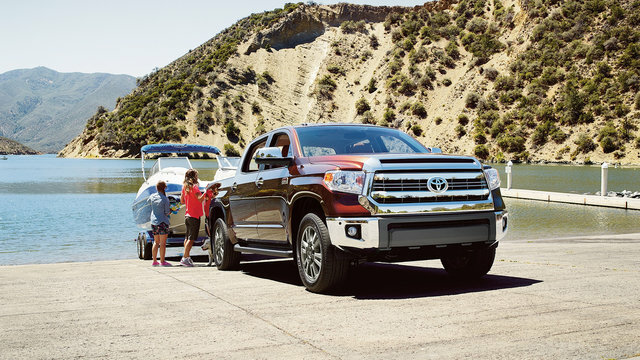 With The Toyota Tundra comes a multitude of options from passenger limits to towing capacity, but all stand above in value for your needs. With impressive towing capacity, a powerful engine and lots of legroom, the 2018 Toyota Tundra is a truck that pushes the limits of what you can do with a pickup. With a Heavy Duty Hitch and Toyota’s Star Safety System, the Tundra is designed with you and your work in mind, all starting just at $30,425. The Toyota Tundra offers a total of 10 different models with 22 available configurations that allow you to get the truck you need for any job. Producing 381 horsepower at 5600 rpm and 401 lb.-ft. of torque with a 5.7L i-FORCE V8 engine, the Tundra can pull up to 4760 kg (10,494 lbs). The truck comes loaded with large brakes that are practical for towing, and if off-road is your vice the TRD Off-Road Packages are available with absorbers and better tire-surface contact and tracking. With an available bed rail system that includes 4 tie-down cleats, or a multitude of accessories such as the Hard Tri-Fold Tonneau Cover or Chrome Accent Package, the Tundra can be customized to excel in any situation. 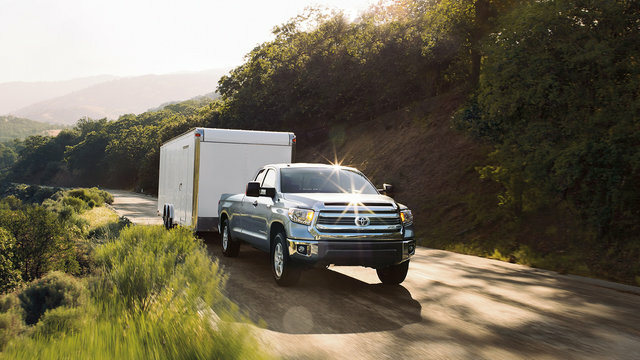 Like other Toyota models, the Toyota Tundra comes equipped with the standard Star Safety System, which encompasses six state-of-the-art features to ensure you avoid any accidents. 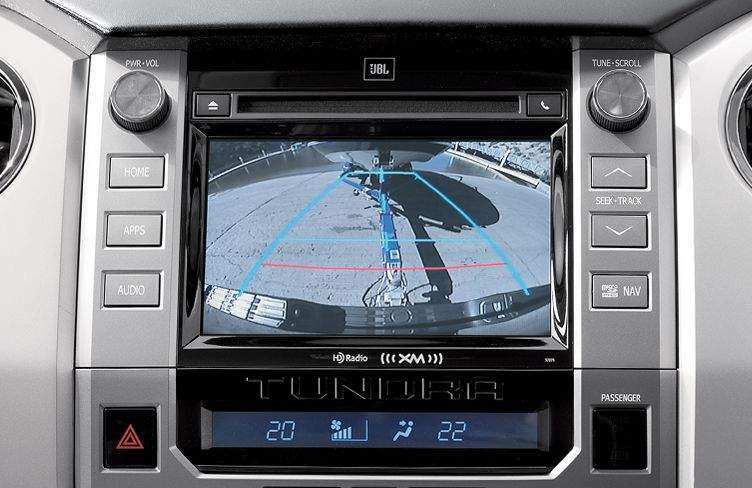 The new Blind Spot Monitor with Rear Cross Traffic Alert system is available on higher-end models. It uses radar to detect vehicles in adjacent lanes, and then alerts you if a vehicle is in your side or rear blind spot. The Tundra comes equipped with 8 airbags, and it’s the first half-ton pickup to offer standard driver and front passenger knee airbags. Depending on your needs the Tundra offers Regular, Double Cab and CrewMax models allowing for different special configurations both for passengers and payload. Seating anywhere from 3 to 6 passengers, the interior is completely redesigned with purpose and practicality in mind while still maintaining comfort and convenience. 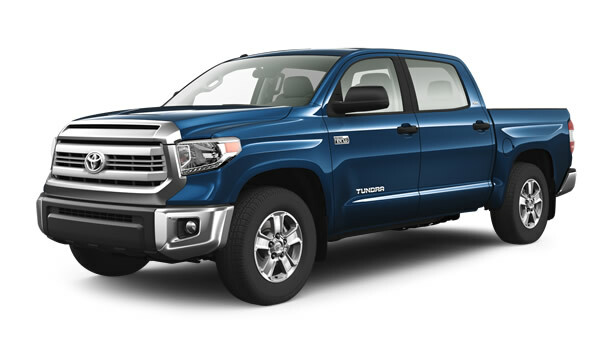 At its peak the Tundra is able to have up to an 8.1-foot long cargo bed, and lavish design features around its exterior such as chrome mirrors, bumper ends, handles and grille sitting on 18” aluminum wheels. 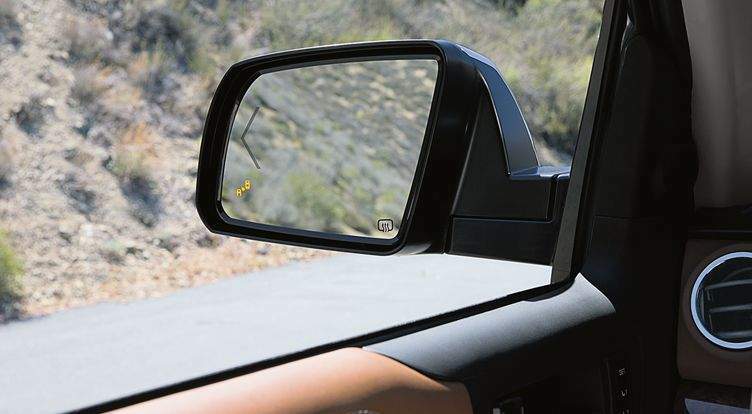 Heated adjustable folding mirrors ensure you always maintain visibility during cold months and a 6.1-inch audio display with touchscreen synced up to Toyota Entune make it easier than ever to stay connected with your truck. The Toyota Tundra is loaded with a host of technological features to make your drive and workday a lot easier. With standard features such as a backup camera, Bluetooth® capability, USB and auxiliary audio input, and windshield wiper de-icer, this truck will keep you satisfied on any journey you take. Available technology on select models includes a 7″ touchscreen display and navigation system, keyless entry, clearance and backup sensors, heated and ventilated front seats, driver seat memory, and 8-way power adjustable seats. With this variety of options it’s easy to make the 2018 Tundra a vehicle that’s been customized for you and your needs. Tough stuff. The 4×4 Double Cab SR 5.7L with the 6.5 foot cargo bed gives you powerful performance and an impressive range of innovative technical features that help you get it done – on the job, or on the trail. Add the TRD Offroad Package to make it the ultimate 4×4 machine. Go big or go home? With the Tundra CrewMax you don’t have to choose. There’s more foot and leg room than ever. 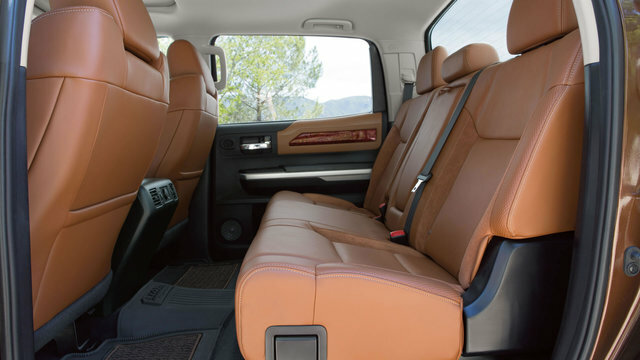 There’s more interior cargo room than ever with our fold-up rear seats. Plus, the Tundra 4×4 CrewMax SR5 5.7L is loaded with so many luxurious amenities, it feels like home away from home. The 4×4 CrewMax Limited 5.7L will get you and your crew – or your cargo – wherever you need to be. With legendary Toyota 4×4 capability, our most powerful engine, and plenty of room for 5, and a wealth of comfort and convenience features, perhaps we should have called it “Unlimited”. 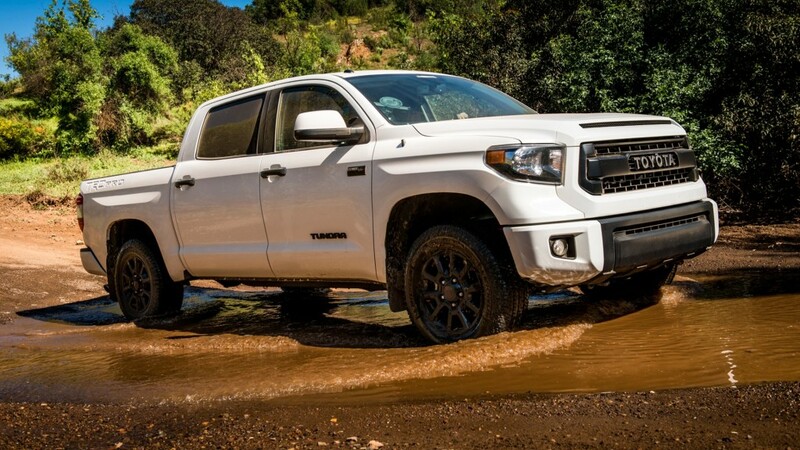 The 2016 Tundra 4×4 CrewMax Platinum truly is a force to be reckoned with. It’s got colour-keyed front and rear bumpers and grille surround, chrome mirrors and door handles, premium black leather seating and dash trim with a luxurious diamond-stitched design, and much more. *Additional cabs, trims, and packages also available – see dealer for details. Don’t wait any longer, you’ve got the ability to customize an extremely capable truck with the 2018 Toyota Tundra and it’s huge variety of build option and we at Sherwood Park Toyota want to help you make it happen. Visit us at 31 Automall Rd, Sherwood Park, AB T8H 0C7 or give our expert Sales Staff a call at (780) 410-2455 today.